In a creative rut? Feeling trapped? Are you in a delicate situation and need help finding firm footing on that tightrope? 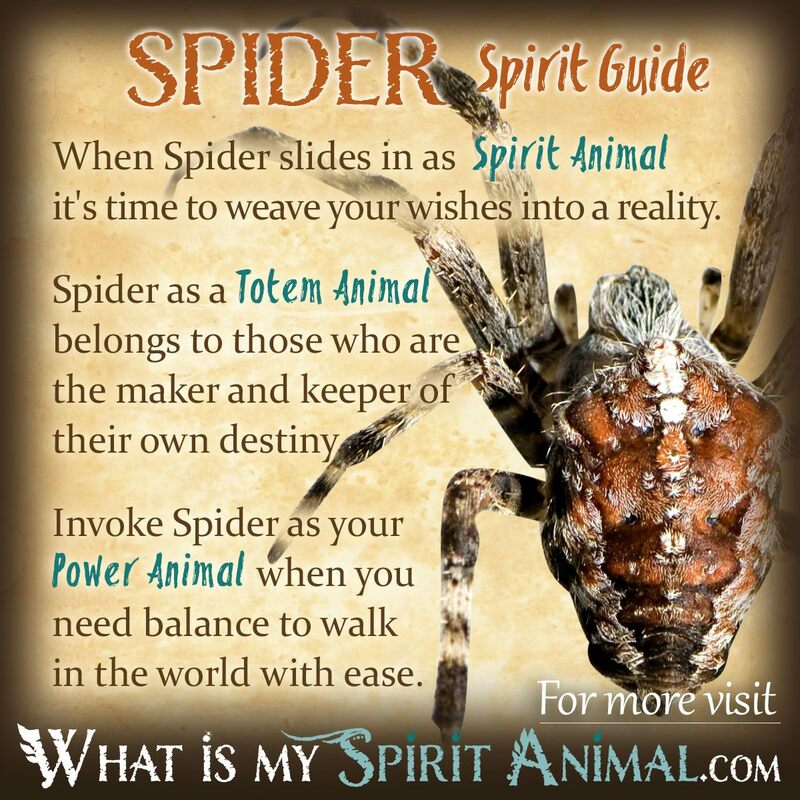 Spider as a Spirit, Totem, and Power Animal can help! Spider teaches you how to masterfully communicate your needs all while showing you how to weave a solution to challenges. Delve deeply in Spider symbolism and meaning to find out how this animal spirit guide can support, assist, and inspire you. Because you’re here seeking the wisdom of Spider energy, magic, and medicine, it’s a sign your higher self is guiding you toward a deep understanding of your place and purpose in this life. Spiders are among the most patient and longsuffering of all animal spirit guides. They carefully weave a web then wait for their prey to come to them. Each strand of Spider’s web connects to another, creating a whole, safe space in which you can feed your spirit. Spider knows, however, that anything worth doing is worth doing correctly. You cannot rush enlightenment. Reawakening your soul’s knowledge of the Great Mysteries can truly become a life-time’s pilgrimage. Spider bears a message about light, darkness and the delicate balance between the two. We as humans sometimes forget there is a special beauty and power to the shadow self. By understanding that side of our being we come to embrace the light all the more fervently. No one is perfect. Spider lets you examine your imperfections from a different perspective – one focused on creating transformation from within. Among ancient Egyptians Spider was sacred to Goddess, Neith – a mother figure. Similarly Native Americans see Spider as a creator and a symbol of the divine Feminine aspect. This creative energy is central to Spider’s lessons. Planning and taking your time with a heartfelt project is the key to success. Spider says, “Haste makes waste. Go slow and wait for the right time.” As you do, you’ll achieve greater understanding of all your aptitudes and traits and pull them together as a cohesive whole. Spider as a spiritual guide and mentor encourages you to try looking at a problem from different angles. Follow one strand – where does it take you? Try another – where are you then? Stay flexible and don’t be afraid to test out a new Path. This is particularly true of relationships and other close ties. Where do you want to build your web/network so that it’s strong? Spider as a Spirit Animal comes into our lives to kick start our creativity. If you’ve stalled out, now is the time to breathe life into your ideas and dreams! It’s time to begin weaving a strong, well-considered web and overcoming challenges. Spider as a Spirit Animal may also appear as a messenger from the Goddess calling on you to reconnect with sacred feminine energy, not only in the Universe but also within yourself. Remember, to a Spider, its web is its ‘world’. When Spider appears to you, maybe the time has come for you to see yourself as the center of your own world. Like Spiders, we create our own world. We are the makers of our own destiny. Once we understand ourselves, we can truly begin manifesting our own reality. Most webs are round-ish spirals which unite at a central point. In this, Spider webs are mandalas that you can use to meditate on the core themes and situations of your life. As the center of your own world, are you focused on what you truly want or are you spending time concentrating on negative energy? Learn more about Spider Spirit by reading Spider Dreams: What They Mean on WhatIsMySpiritAnimal.com! 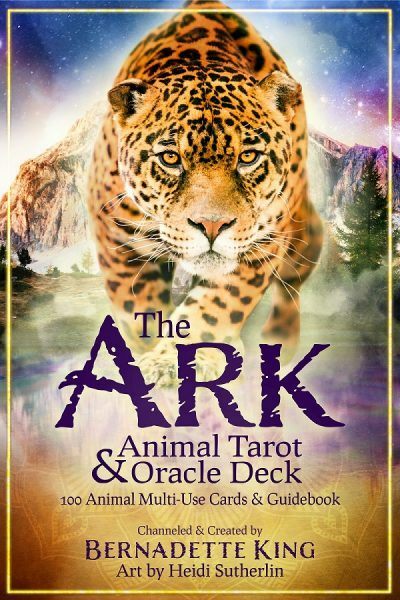 Ask your Spider Spirit Animal Guide to help you design and create the very world you want! People born with a Spider totem have very symmetrical souls. You understand and maintain the delicate balance between the physical realm and spirit, between the old and new, between yin and yang. Spider people have a keen understanding of the medicine wheel and all its workings. You have a knack for unraveling even the most difficult of patterns and re-working it into something useful and positive. Finally Spider is a communicator – writers very often have a Spider totem. Spiders are very delicate creatures. But nature gifted them with incredible powers of agility. When you feel as though you’re walking on a very thin rope which is sure to break, call on Spider as a Power Animal. Its energy and medicine can help you see how to better navigate the frayed threads of life and find your way back to a position of strength. Invoke Spider as your Power Animal when you want to regain the reigns of control over your fate. Destiny awaits and Spider offers creative solutions for achieving your goals. Weave an energetic web that supports your soul. With Spider at your side you can create your reality and capture the magic of the moment! Spider appears in a wide variety of Native American stories. Perhaps the most prevalent is Grandmother Spider who spins the web of time and knows all aspects of the future and the past. In Shamanism the Spider is an inventor. The creature’s 8 legs represent the medicine wheel, and Spider spirit was the sacred keeper of Native American history. In Celtic tradition Spider has strong associations with the Druids. This nature-based religion sees the Spider as having three distinct characteristics – the Bard, the Ovate and the Druid. The bard is the artist and weaver of webs. The Ovate is a seer that provides perspective, and the Druid is the teacher of Spider medicine. We are told that Spider created the Ogham, an early Irish alphabet that is often seen on sacred stones in Ireland. When Spider comes into your dreams it’s very often acting as a messenger from the Goddess who endeavors to put your life on the right track. Pay attention to your feelings about the Spider, and also see what it is doing in the dream. That will give you greater perspective. In China Spider is an auspicious creature. The ideogram for Spider begins with a character that has the same intonation as the word “happy.” The symbol of Spider on jewelry acts as a fertility charm, particularly for a family wanting a son. In Japan a golden orbed Spider dwells in Joren Falls and acts as a guardian who saves swimmers from drowning. My love to you as you dance on the gossamer threads of your life! For the last month I have been constantly finding spiders on my arms and body. Often they are small and stay with me for some time – 15 or 20 minutes. Just yesterday a spider played on my arms for 20 minutes; it would jump from finger to finger and if I put my finger in its path (to keep it from crawling up to my neck) it would crawl into my finger (sometimes jump on!) and start exploring the other hand and arm. Do you think this is significant? Exact same thing happened to me today, a small grey spider kept crawling all over my arms and fingers and I kept letting it go but he kept coming back so I took him home and put him in my flower pot. Thank you so much for this wonderful insight I will have to take some time and deeply think about my dreams and my life situation. I’m starting to believe the spider may be a spirit animal of mine. I’m starting to enter creative pursuits and the idea of spiders and Druidism have been cropping up repeatedly. In addition, the idea of being the centre of your web and waiting for the right time is appealing to me. Plus they’re showing up in my life more and more (due to it being summer). One small problem, though: I have an irrational fear of spiders. Can hardly even look at them. Does this have any significance? Me too. I’ve always been terrified of spiders. As I’ve gotten older I’ve calmed down a bit. As in I don’t throw a tantrum whenever I see one. But I would probably have a panic attack if one ever touched me. I really do think the spider is my totem though. Which I find incredibly interesting. i was on the roof of the house at 3 am, thinking about the purpose of LIFE and my life, then i sat down crying and looking to the sky breathing the fresh air, i almost lost hope in finding what i want, then a huge spider appears, , so i came here i googled spiders in spirituality, and everything is clear now! Tarantula is one of my four power animals both on my totem (carved for me by a Mestizo) and in my shamanic journeys. Your interpretations are illuminating. I was told by a shaman that Spider had medicine for me and and to seek out the meaning.., very interesting information here. I’m not going to bother looking any further as I can relate to much of what is said here and it gives me plenty to think about. I WOKE UP THIS MORNING AND A SPIDER IS CLINGING TO MY WINDOW SCREEN ON THE 8TH FLOOR OF MY APARTMENT BUILDING. SO I PLUGGED SPIRITUAL SIDER INTO GOOGLE AND IT’S SO WONDERFUL TO GLEAN ALL THIS INFORMATION AS I AM STARTING A NEW PROJECT AND THE WORD “HAPPY’ IS WHAT I NEEDED TO HEAR AND BUILD A NEW, SAFE FOUNDATION FOR MYSELF. There is something going on last year that makes me always remember the incident. I was having a rough time for a moment at that time but something out of reality suddenly happened. In the amid of my rough time i was strongly shaken to my core but there is few days that i kept seeing spiders, a lot of spider crawling on my ceiling every time i wake up from bed in morning. I have no idea what it is but only believe that i have visual delusion(since i started reducing my sleeping hour to a time it brings harm to me, so i only think i’m just hallucinating). It looks really real, but I don’t think there is actual spiders there. In fact how come there is a lot of spider on there, it’s uncountable. I close my eyes for a while and looked up again and the spiders are gone. (so i convinced my self its only hallucination because i’m tired and doesn’t have a good quality of sleep.). I continued my day and ignore the insignificant event happened that morning. But i still remember it. It makes me wonder, why I’m seeing only spiders but not something else as my hallucination. If i can remember correctly i experience this hallucination only 3 times only, and all of them happened in the morning after i wake up. So after a year i found a book about psychic children written by Sylvia Browne and Lindsay Harrison. The book mention about spirit guide, so I was wondering if the spider is my spirit guide. Then i looked on the internet and found this.